Charles R. Huntley, age 80, of Yankton, South Dakota, died Wednesday, April 17, 2019, at Avera Sister James Care Center in Yankton. A prayer service will be 7:00 PM on Monday, April 22, 2019, at the Wintz & Ray Funeral Home in Yankton with Reverend David Wildermuth officiating. 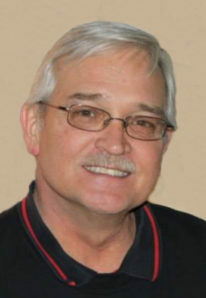 Military honors will be provided by the … Continue reading "Charles R. Huntley"
Rickey Joe Coonfield, age 56, of Yankton, South Dakota, died Wednesday, April 17, 2019 at the Osmond General Hospital in Osmond, Nebraska. A gathering of friends and family will be 3:00 PM on May 9, 2019, at the Wintz & Ray Funeral Home in Yankton, South Dakota. Burial will be in the Yankton Cemetery following … Continue reading "Rickey Joe Coonfield"
Caroline Laverne Peterson, age 87 of Laurel, Nebraska died on Wednesday, April 17, 2019 at the Careage Campus of Care in Wayne, Nebraska. Memorial Services will be on Thursday, April 25, 2019 at 2:00 p.m. at the United Lutheran Church in Laurel with Dr. Lee Dahl officiating. 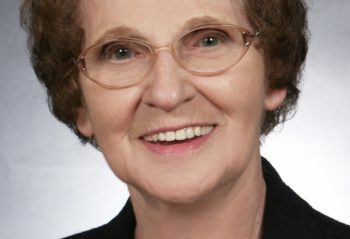 Burial of her cremated remains will be at … Continue reading "Caroline L. Peterson"
Jo Ann Waters, age 67, of Yankton, South Dakota, died on Wednesday, April 17, 2019 at her home. Memorial services for Jo Ann and her son, Jodi Gilbaugh, are 10:30 AM, on Saturday, April 27, 2019 at Wintz & Ray Funeral Home in Yankton with Reverend Dani Jo Bierwagen officiating. 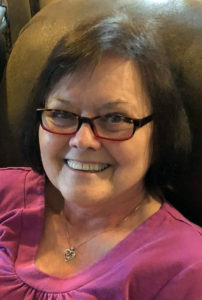 Jo Ann will be buried … Continue reading "Jo Ann Waters"
Joan M. Lammers, age 63 of Hartington, Nebraska died on Sunday, April 14, 2019 at her residence after a courageous battle with cancer. She was surrounded by her family when she peacefully went to her final rest. Funeral services will be on Wednesday, April 17, 2019 at 10:30 am at the Holy Family (Sts. 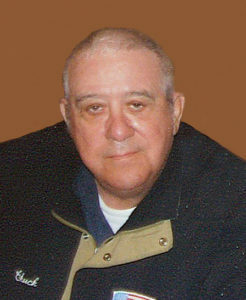 Peter … Continue reading "Joan M. Lammers"
Bradley Todd Lindemann, age 60, of Yankton, South Dakota, died on Thursday, April 11, 2019 at Avera Sister James Care Center in Yankton. Memorial services are 10:30 AM, on Tuesday, April 16, 2019 at First Congregational Church in Hartington, Nebraska with Reverend Gary Kimm officiating. Inurnment will be in the Hartington City Cemetery. 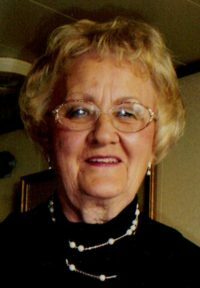 The family … Continue reading "Bradley Todd Lindemann"
Ernestine Hegge, age 87 of Crofton, Nebraska died at her residence on Wednesday, April 10, 2019. Mass of Christian Burial will be on Monday, April 15, 2019 at 10:30 a.m. at St. Rose of Lima Catholic Church in Crofton with the Rev. Timothy Podraza officiating. Burial will be at the St. Rose of Lima Cemetery … Continue reading "Ernestine Hegge"
Wilma R. Hochstein, age 91 of Syracuse, Nebraska and formerly of Coleridge, Nebraska died on Monday, April 08, 2019 at the Good Samaritan Center in Syracuse, Nebraska. Mass of Christian Burial will be on Saturday, April 13, 2019 at 10:30 a.m. at St. Michael’s Catholic Church in Coleridge with the Rev. David Liewer officiating. 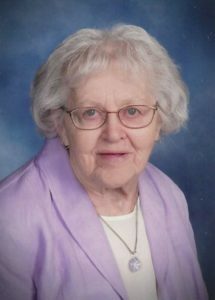 Burial … Continue reading "Wilma R. Hochstein"
Mildred Ruth Branaugh, age 90, of Yankton, South Dakota was welcomed into the arms of Jesus, her heavenly Savior, on Thursday, April 4, 2019 at Avera Majestic Bluffs Hospice House in Yankton. Memorial services are 1:00 PM, on Monday, April 15, 2019 at Calvary Baptist Church in Yankton with Reverend Rick Slattery officiating. 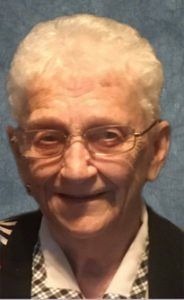 Private family … Continue reading "Mildred Ruth Branaugh"
Eileen J. Vlahakis, age 93, of Yankton, South Dakota, died Monday, April 1, 2019, at Avera Sister James Care Center in Yankton. A private family service will be held at a later date. Burial will be in the Garden of Memories Cemetery in Yankton. 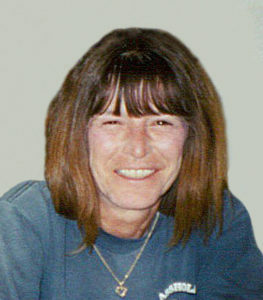 Arrangements are under the direction of the Wintz & Ray Funeral … Continue reading "Eileen J. Vlahakis"